"I'm confused . . . do I like the P-Kahns better, or the P-Nuts, or the Kashoos?!" It's okay, you can have all of them. No need to stress about it anymore. 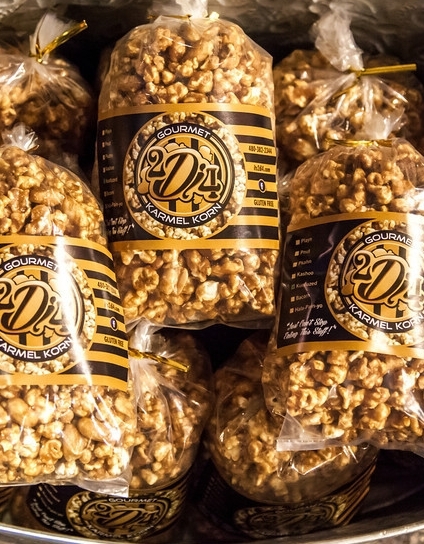 Extra large roasted Virginia peanuts, whole pecan halves, large roasted cashews with light sea salt surrounded by mountains of our rich, buttery, golden brown, perfectly sweet Karmel Korn.